custom.ph - Polo shirts today are very popular among teenagers, adults, or even elderly people. At the beginning of the shirt model polo shirt, this shirt is very synonymous with a logo that is very popular among the public, the logo is a picture of people who are riding a horse and holding polo stick. At first appearing, the price of the polo t-shirts is very expensive because it is an imported product, and is only known by the upper class only. Polo shirts are now beginning to popularize and widely known. Polo shirt different from T-shirt type. Polo shirts have a t-shirt with some buttons. For that polo shirt is often referred to as a collared shirt. Polo shirts become semi-formal clothing, with knitting materials or shirts, but with a collared model like a shirt. So, the polo shirt is a combination of two styles of dress, casual style with basic materials t-shirts, formal style with the presence of neckwear and buttons like a shirt. The polo shirt becomes a fashion choice to attend various events, ranging from casual to formal. Wearing a polo shirt gives the impression of relaxing but still looks formal. Because this is the polo shirt to be very popular and massively produced. The use of polo shirts has now even penetrated into the world of work. Many companies make their office uniforms with polo shirt models. Official government agencies have also begun using polo shirts for sportswear and clothing on weekends. The use of polo shirts on work clothes has resulted in a relaxed, friendly impression. This is one way to attract customers more friendly, get closer to the customer and away from the official rigid impression. Polo shirts start mass-produced and used for all ages. Not only adults, models of polo shirts for children are now beginning to be loved. Comfortable material with a flexible collar material is safe for children. 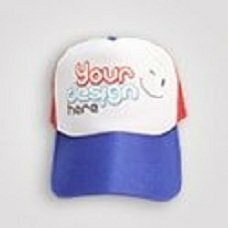 The selection of comfortable materials and bright colours typical of children is perfect plus a small embroidered accent images of children's favourite cartoon on the chest. Special Polo shirt for this child is deliberately designed specifically for the convenience of children. Polo shirts are also a trend worn by teens. Polo shirts for teens more emphasis on the model and size of shirts. The size of the shorter arms, above the elbow, is very favoured adolescents. In addition, the colours vary also add to the option for teenagers. Especially for adults, there is a standard polo shirt that we have known. Polo shirts have become a fashion trend that is subject to various circles of all ages. The semi-formal but casual model is very popular and popular because it can be worn for various activities. For anyone of you who wants to buy polo shirts, can easily visit some places like wholesale, or online store. Especially if you want to resell it, you can get the best price, it is advisable to buy it at cheap wholesalers who are around your city.